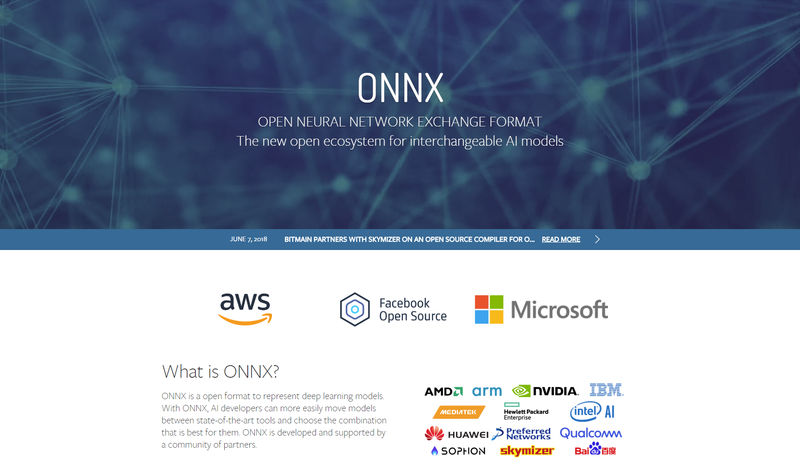 ONNX is an ‘open ecosystem for interchangeable AI models’ – with Support for Several Frameworks, Converters, and More | #ArtificialIntelligence « Adafruit Industries – Makers, hackers, artists, designers and engineers! ONNX is a community project created by Facebook and Microsoft. We believe there is a need for greater interoperability in the AI tools community. Many people are working on great tools, but developers are often locked in to one framework or ecosystem. ONNX is the first step in enabling more of these tools to work together by allowing them to share models. Our goal is to make it possible for developers to use the right combinations of tools for their project. We want everyone to be able to take AI from research to reality as quickly as possible without artificial friction from toolchains. We hope you’ll join us in this mission! ONNX provides a definition of an extensible computation graph model, as well as definitions of built-in operators and standard data types. Of course they use GitHub!